Debriscap DC 457 Fits a SLIP/SCREW type wall 6 1/4" - 6 7/8" ID. Since the DC 457 is self-adjusting, there isnt a need to adjust the pads in order to find the proper fit. 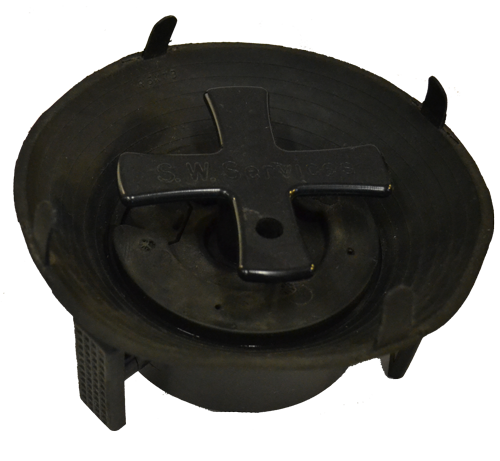 This model cap can also be outfitted with a LD-4 (Locking Device #4) which enables the cap to be locked. This size cap typically fits in the TOP section of the standard 5 1/4" valve box just under the lid. Some examples are the Bingham & Taylor 55/55S or the Tyler 6850/6855. There are also some generic made valve boxes that the caps will fit in also. 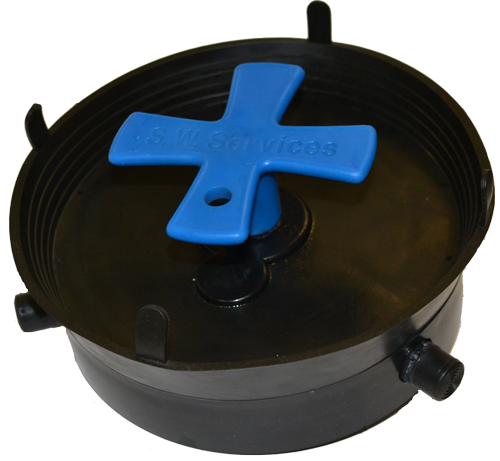 Debriscap DC 5X7 Fits a nominal 7" - 7 1/2" ID. The contact pads can be adjusted to allow for proper fit if the size is larger or smaller. When you have found the proper location for the cap, simply rotate the handle (DO NOT FORCE IT) until you feel the cam lock into position. Since each contact pad is adjustable, you may feel some resistance which will cause the cam to not lock into postion. Shorten (1) or more of the adjustable pads to arrive at the proper tension. 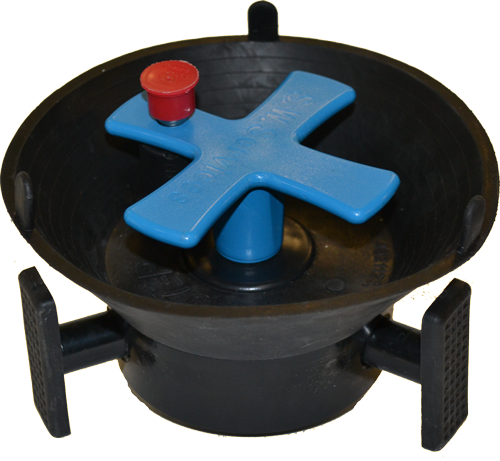 The handle should align with the hole in the base of the cap (remove the rubber plug to utilize locking system). Debriscap DC 825 Fits a nominal 8" ID. The contact pads can be adjusted to allow for proper fit if the size is larger or smaller. When you have found the proper location for the cap, simply rotate the handle (DO NOT FORCE IT) until you feel the cam lock into position. Since each contact pad is adjustable, you may feel some resistance which will cause the cam to not lock into postion. Shorten (1) or more of the adjustable pads to arrive at the proper tension. The handle should align with the hole in the base of the cap (remove the rubber plug to utilize locking system).